CHICAGO -- Christopher Cantwell, who was featured in a Vice documentary about a white supremacist rally in Charlottesville, Virginia, has turned himself in, authorities said Wednesday. 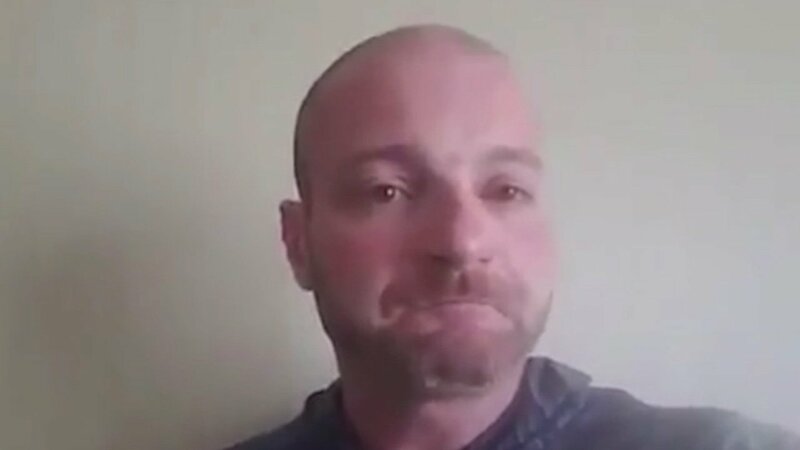 Christopher Cantwell was the central figure in a chilling real-time Vice documentary, displaying his personal arsenal of weapons, denigrating black and Jewish people and declaring the ramming death of 32-year-old Heather Heyer at the rally as "justified." Police at the University of Virginia, where a torch-lit march was held on August 11, had issued warrants for his arrest on two counts of illegal use of tear gas and other gases, and one count of malicious bodily injury with a caustic substance. The New Hampshire resident surrendered to police in Lynchburg, Virginia. He is currently being held at the regional jail as he awaits transport to Charlottesville, where the march was held. Cantwell and dozens of others marched through the university grounds on August 11, carrying torches and chanting "Jews will not replace us" and "White lives matter." They were protesting a Charlottesville City Council plan to remove a Confederate Gen. Robert E. Lee statue from a nearby park. Protesters also chanted "blood and soil" -- an English translation of the Nazi slogan "Blut und Boden," which glorified rural living and held that only blood descent can entitle individuals to belonging in the nation. Cantwell was brash and defiant in interviews with Vice filmed during and after the march. But he appeared tearful in a separate Facebook video the same weekend, saying he might be arrested but not specifying why. In an interview with The New York Times over the weekend, he said the warrants stemmed from an incident during the march when he pepper-spraying someone. He said he acted in self-defense. "I thought that spraying that guy was the least damaging thing I could do," he told the paper. "In my left hand I had a flashlight. My other option, other than the pepper spray, was to break this guy's teeth. OK? And I didn't want to do that. I just wanted him to not hurt me." On August 12, white nationalists gathered for the "Unite the Right" rally and clashed with counterprotesters in downtown Charlottesville. Heather Heyer, 32, was killed when police said a man drove his car into a crowd. The driver, James Alex Fields Jr., 20, has been charged with second-degree murder and other offenses. His next court appearance is Friday. Two Virginia state troopers were killed in a helicopter crash nearby after monitoring events during the "Unite the Right" rally.